Looking for a new haircut? Redken Brews has got you covered. 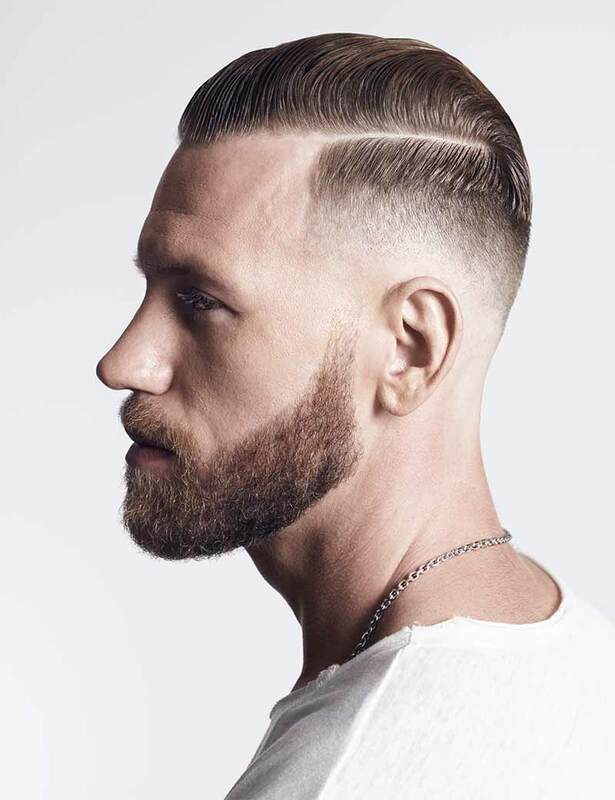 The best men's haircuts cater to face shape, hair type and lifestyle. Find your best fade, crop, medium, short, or long haircut and ask your barber or hairstylist to recreate the cut for you. Choose from classics like a hard part comb over or a short crop to new favorites like a slick back pompadour or a man bun. Whether you have curly hair, straight hair, fine or thick hair, Redken Brews has a haircut that will compliment your look! Perfect your man bun hairstyle! Take this popular men's hairstyle to the next level by adding product and deliberate, textured finish to your bun. Follow this step-by-step to create the look at home. Create this short textured hairstyle for men in just three steps. Ask your barber to create a short, textured haircut with a soft fade and then follow this step-by-step tutorial to create the look at home using Redken Brews. Like this look? Ask your stylist for a tight fade men's haircut. Click through for tips on how to style and take this picture to your stylist! Scared of a buzz? Your stylist can tailor this look to you so it isn't too short. The french crop hairstyle makes major impact but is easier to create than it looks. Ask your barber to create a tight taper fade haircut and then follow this step by step to create your french crop look. The best hairstyles for men with long hair start with a textured haircut. Ask your barber to create layered hair, and then follow this step by step to create your long hairstyle for men. To achieve this exact look, ask for a Hard Comb Over men's hairstyle.